Create attractive Personalised Coasters for the entire family. - Starting at Rs. 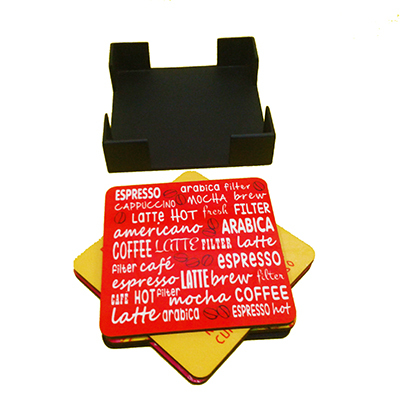 500/- per set of 6 coasters, exciting prices on more quantities. - Digitally printed for better quality. - Made of long lasting MDF.